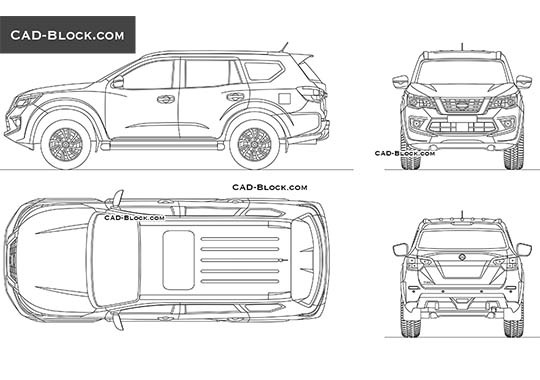 Aggressive sports design and the best qualities of a real SUV are presented in the new car from the company Nissan. 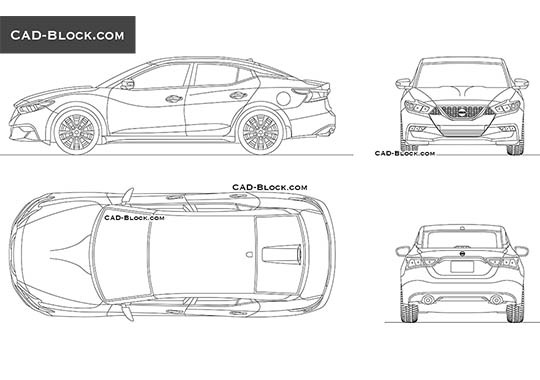 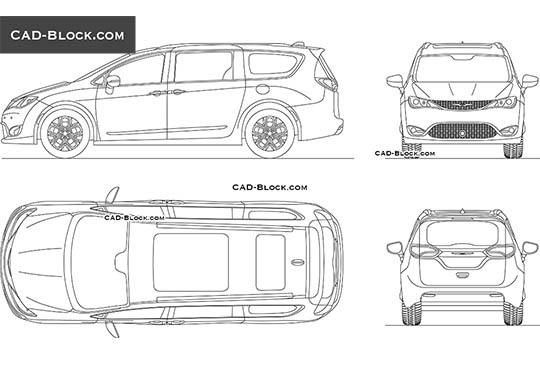 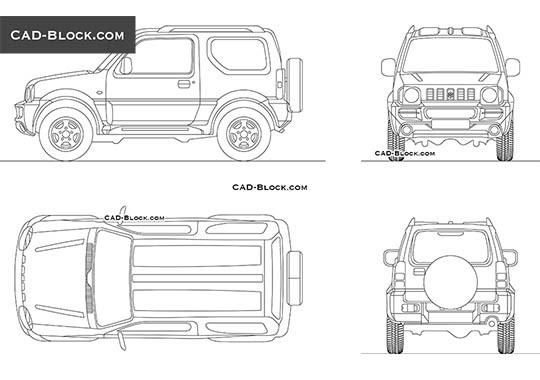 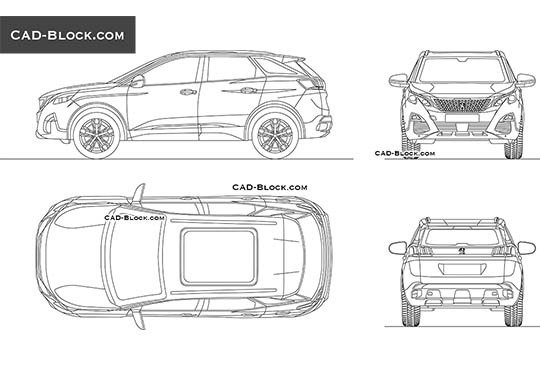 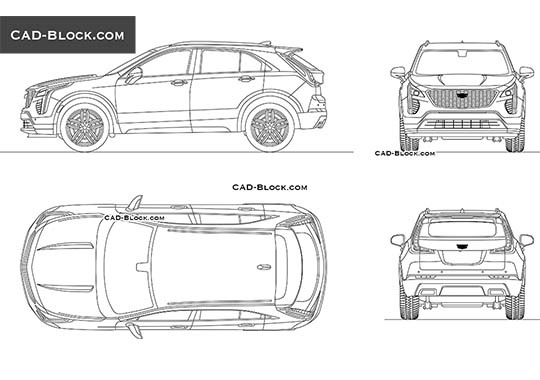 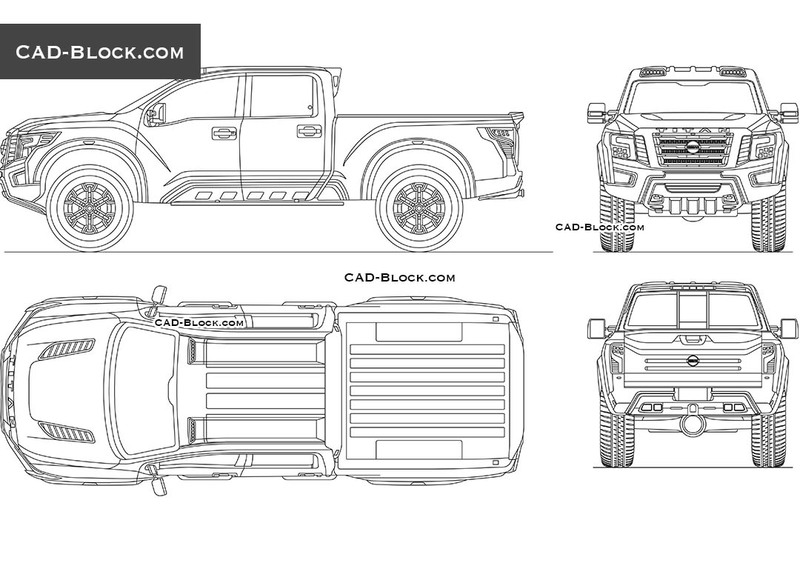 Our designers are ahead of their time and have prepared for the users of cad-block.com this SUV model, which is soon planned to enter mass production. 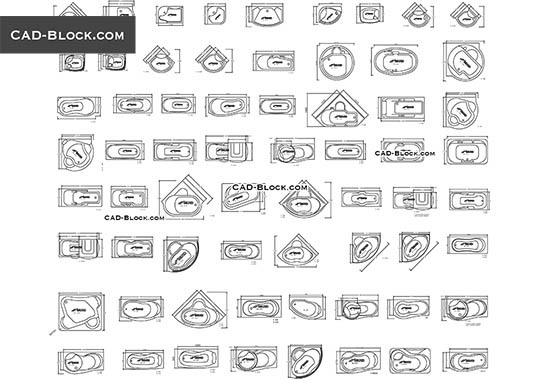 We would like, once again, to draw your attention to the fact that all the paid 2D car models in our AutoCAD collection are well detailed and have real sizes.